LinkedIn’s just launched its new platform to everyone interested in hooking up to the business networking site’s APIs. Useful stuff, for some, but what it’s really about is trying to usurp Facebook in the enterprise social networking space. LinkedIn‘s just launched its new platform to everyone online interested in hooking up to the business networking site’s APIs. Useful stuff, for some, but what it’s really about is trying to usurp Facebook in the enterprise social networking space. 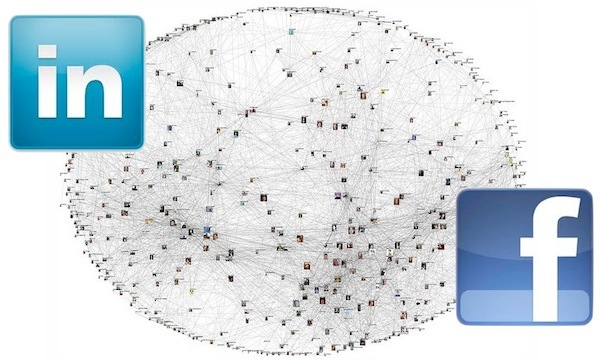 LinkedIn says it’s all about “building the professional Web,” or, rather, aping some of Facebook’s existing features and making it easy for developers to access LinkedIn’s data in order to try to beat Facebook to creating a social network for the business world. The new platform, according to LinkedIn’s announcement, will bring “professional identity and insights” into third-party sites and applications. Hence, there’s a plugin to let sites show their visitors if other people they’re linked with professionally have also visited this particular site, and a widget that lets third-party sites contain supplementary data about companies they mention–borrowed directly from LinkedIn’s extensive database of company information. But it’s three specific features that give away LinkedIn’s true game: “Sign in with LinkedIn,” “Share” and “Recommend.” The first is yet another attempt to create a common login system for multiple websites that users may be a member of–handy for third-party sites who could benefit from a simpler login system, and useful for LinkedIn because it’ll garner more exposure if third party sites do adopt it. “Share” is evidently a way for LinkedIn to tap into the other social networking memes that’re out there–it’s a “button which enables users to share your website with LinkedIn’s professional audience.” This is LinkedIn’s take on a StumbleUpon, of sorts, for more serious business-related web content. Then there’s “Recommend,” which is “a button which enables users to recommend your products and drive traffic back to you.” Does that sound like a Facebook “like” to you? It ought to, because that’s what all of this is for–to establish a bigger footprint for LinkedIn online, with deeper integration into third-party sites and services and thus more “value” delivered, which should drive more traffic to LinkedIn. It’s trying to become the enterprise Facebook, and there’re enough tools and bells and whistles in this new code to give the plan an actual shot at it. Maybe there’s room in the social-media world for three big players: LinkedIn to keep up with work-related social interactions, Facebook for personal fun, and Twitter for news updates and rapid information sharing.